At CAFE ALT, the NEW HOME of Slam in Ottawa! Capital Slam is possible due to the ongoing support of the City of Ottawa! Our first CapSlam in November was also our second CapSlam at Cafe Alt! Trying t make sure everyone could find their way in was a job, but once things settled down, we had a list of NINE slammers, including some out of town faces and a surprise CapSlam debut!! Rusty Priske took the stage as host with a poem to get people in the mood before he turned it over to stand-up comedian Tommy Fitz for an open mic section! Then it was on to the slam! Next up was Blue, and it you want to see the petition that we spoke about at the show, you can check it out here. After a break it was feature time and we were treated to the powerful words of Truth Is…! Truth Is… has been sharing poems at the National level since 2006 and it was a real treat to witness the work on our stage. It has been a little but, but for tonight anyway, the Truth was here! The next CapSlam in on Nov. 21st and will be held at a special location – Origin Studio in Hintonburg! 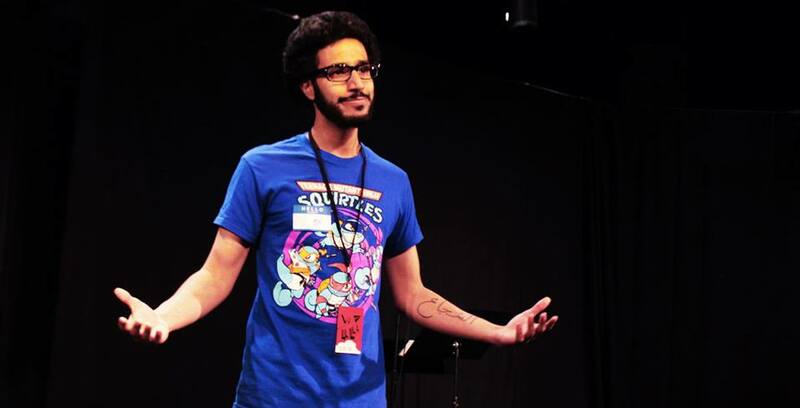 Our feature is the 2015 Toronto Poetry Slam team!